Yoon K. Choi is a professor in the Department of Finance at UCF. He received his B.S. degree in Accounting at University of Illinois in 1980, M.A., degree in Economics and Ph.D. degree in Business Administration at University of Michigan in 1990. 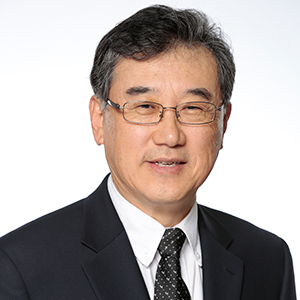 Prior to joining UCF in 1997, Yoon K. Choi taught at University of Texas at Dallas (MBA and Ph.D. courses). Also taught a summer course at Korea University. His research interests include managerial incentives, corporate governance, mutual fund evaluation, and estimation and forecast of market volatility. Received Outstanding Paper Award at the Midwest Finance Association and Research Incentive Award at UCF and published in many international prestigious journals including Journal of Business, Journal of Econometrics, Economic letters, Financial Management, Journal of Accounting and Public Policy, and European Journal of Operational Research. He has taught various courses including Corporate Finance (MBA) , Investment (MBA), Econometrics (MBA and Ph.D.), Financial Modeling (Undergraduate), and Ph.D. corporate seminars, also winning Teaching Award at UCF.